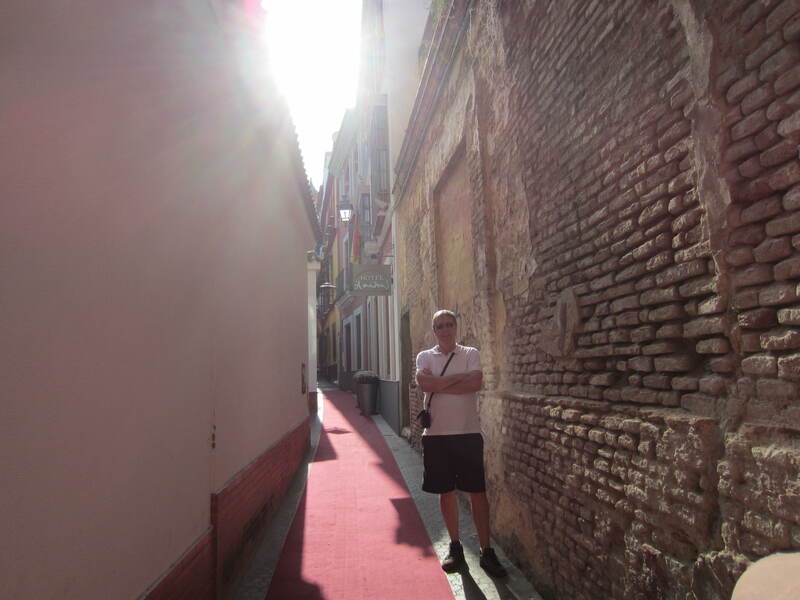 We last left off in Toledo in our Iberian adventure. Hard to believe this trip was a year ago. We left Toledo via train, heading back to Madrid to make another train to Seville. 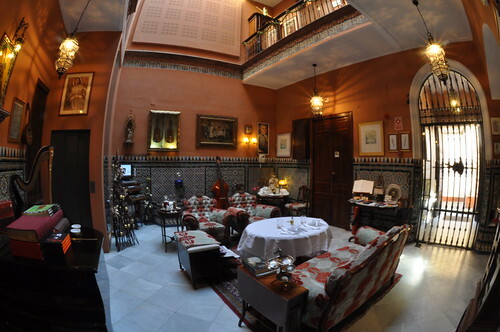 Arriving in Seville, we caught a cab to our home for the next few nights, the Hotel Amadeus. Situated right in the heart of the old city, it is quite stunning. We spent 3 wonderful days and nights here, with a few side trips. We tend to do B&B’s when we travel, but they seemed to be in short supply here, ergo a hotel. No regrets on this one. 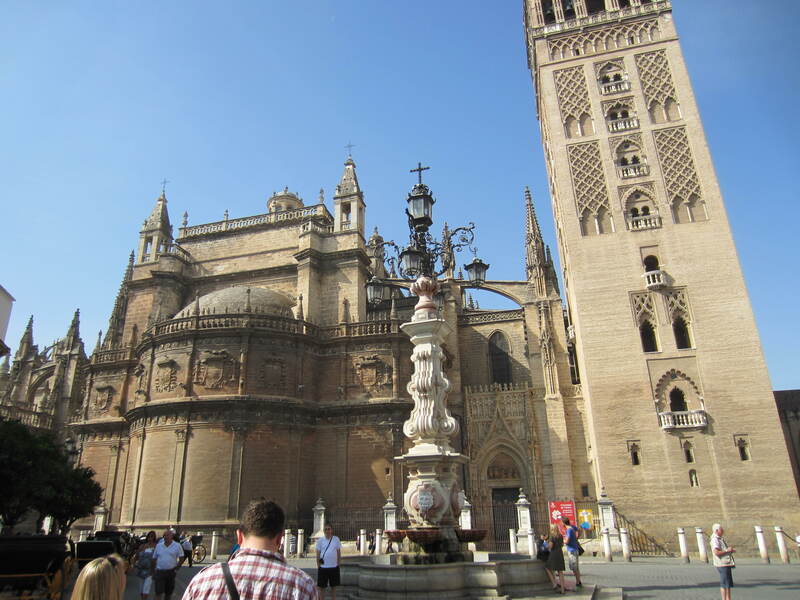 Not surprisingly, Seville has both a major cathedral and a Moorish Alcazar. 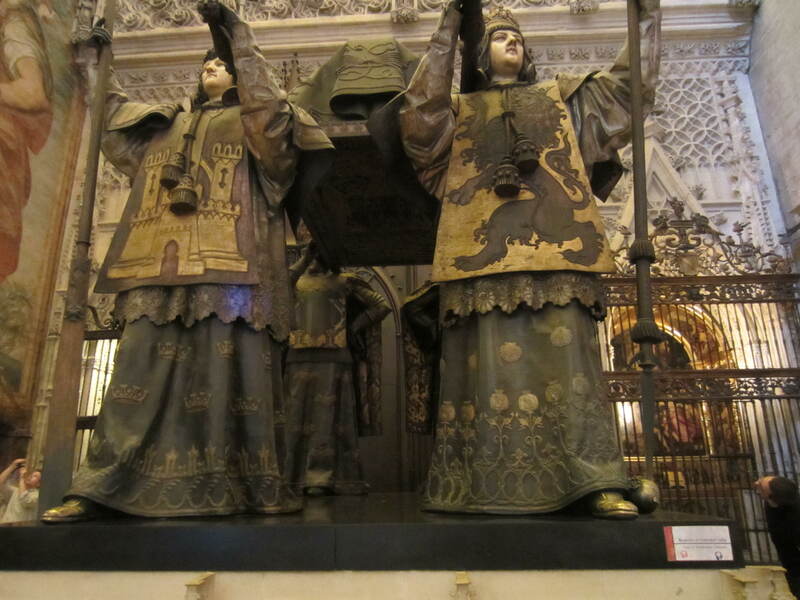 First the cathedral, an awe-inspiring structure that is known for the tomb of Christopher Columbus. The Cathedral of Saint Mary of the See, constructed in the years between 1402 and 1506, is a recommended spot. Not the oldest cathedral we’ve been in, but one of the most impressive. 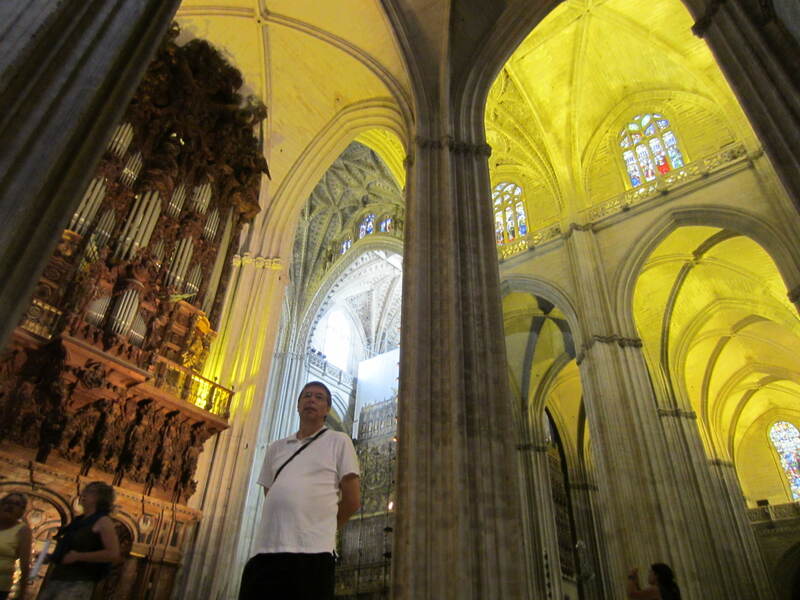 It is the 3rd largest cathedral in the world and a UNESCO world heritage site (stroke this one off the list). Let’s let the pictures do the talking from here. The size and majesty of this building can be understood just a bit by this perspective shot. This is only a small section of the cathedral. 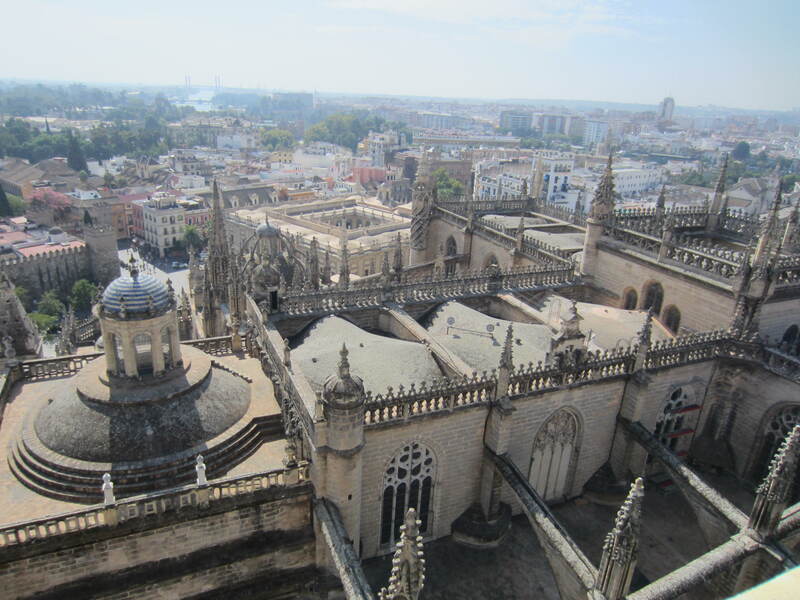 We climbed to the top of the tower, which gives some spectacular views of a great city. 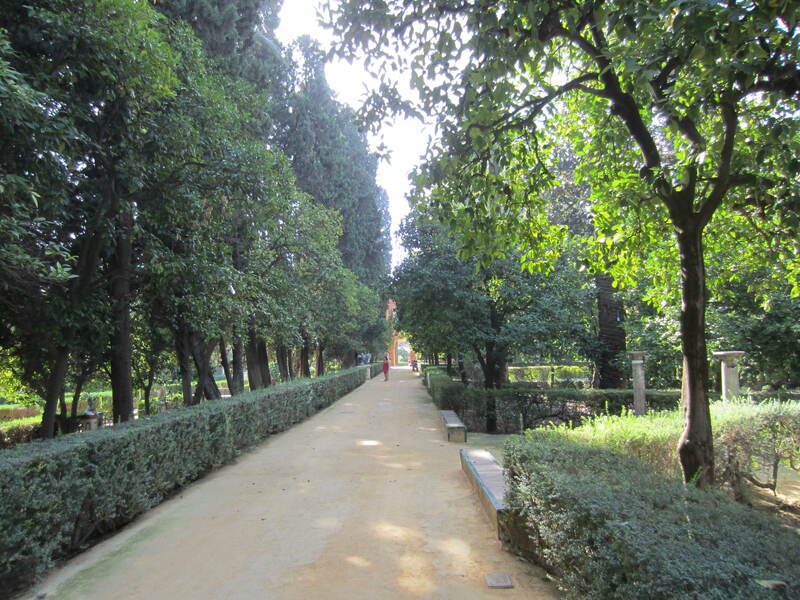 Close by, and making up part of a magnificent monument centred old part of the city is the Alcazar. 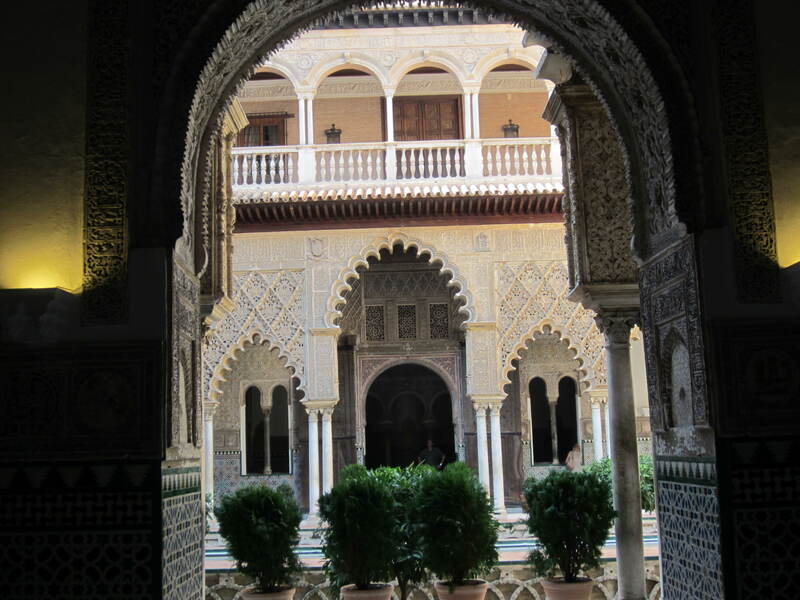 Of Moorish construction dating back to the 10th century, it consists of a former residence and some beautiful gardens and grounds. 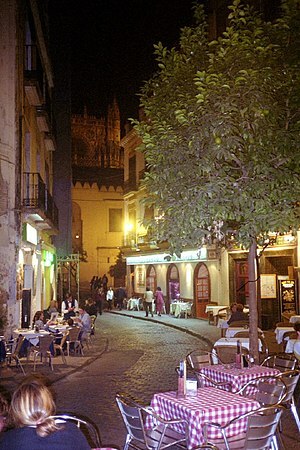 The city is filled with excellent restaurants and Tapas places. A few recommendations? Really just one, La Taberna Poncio is our favourite. 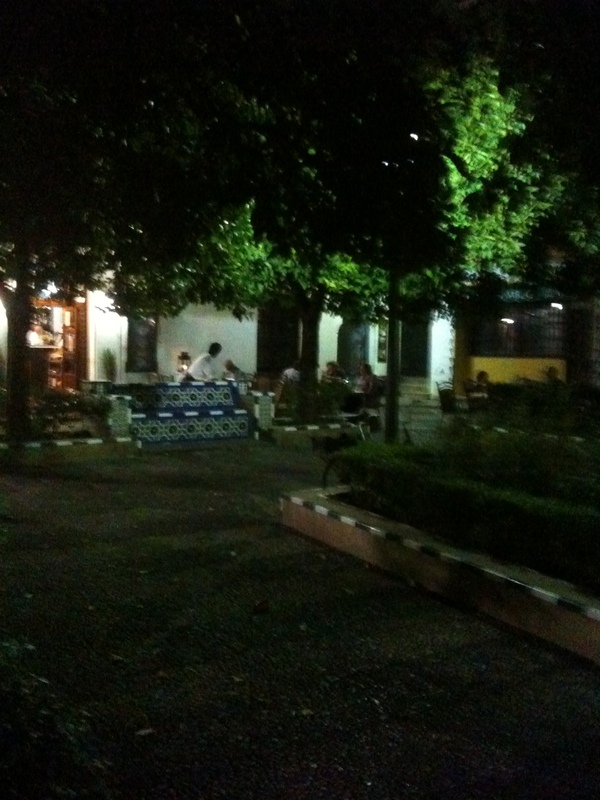 If we had discovered this place on the first night, we never would have tried anywhere else. The food was great, the service spectacular. A thoroughly enjoyable experience. After this, every else was just good and kind of touristy. Poncio was basically locals and very Spanish. There was a bit of a language issue, which again spoke to the atmosphere. Highly recommended by Lori and I. A few photos from places we sat down at. Hard to find a place without a great setting. We decided to stay an extra day here, but could not stay at the Amadeus, meaning we had to find alternative lodging. This leads to a bit of advice. DO NOT STAY at the Hotel Alcazar. Supposedly a 3 star, more like a 2 star. Not as advertised, but any port in a storm. We leave you with a video that I posted once before. 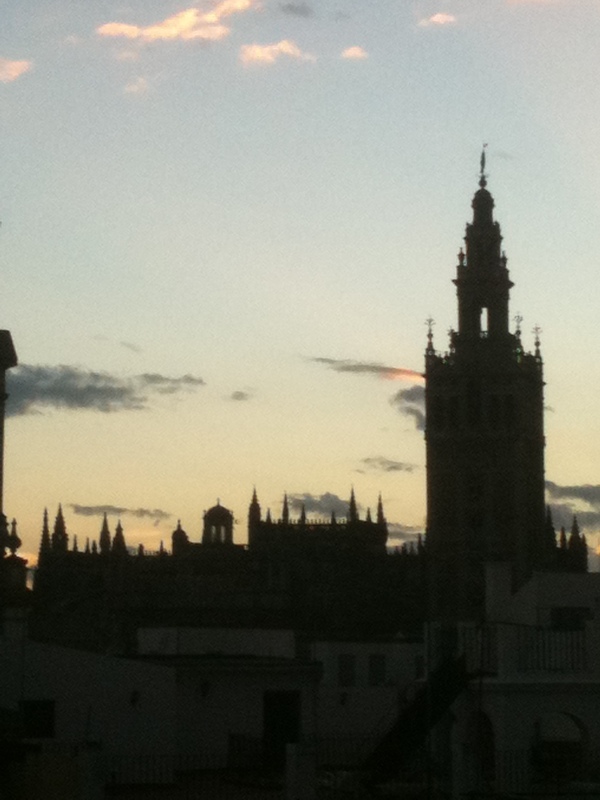 I call it the Skaters of Seville. Canadians have an interest in skating, a genetic thing, and love to do and watch it, on wheels or blades. We had some fun watching these people. Maybe there is hope for Spanish Ice Hockey?? As Canadians, we love all things skating. 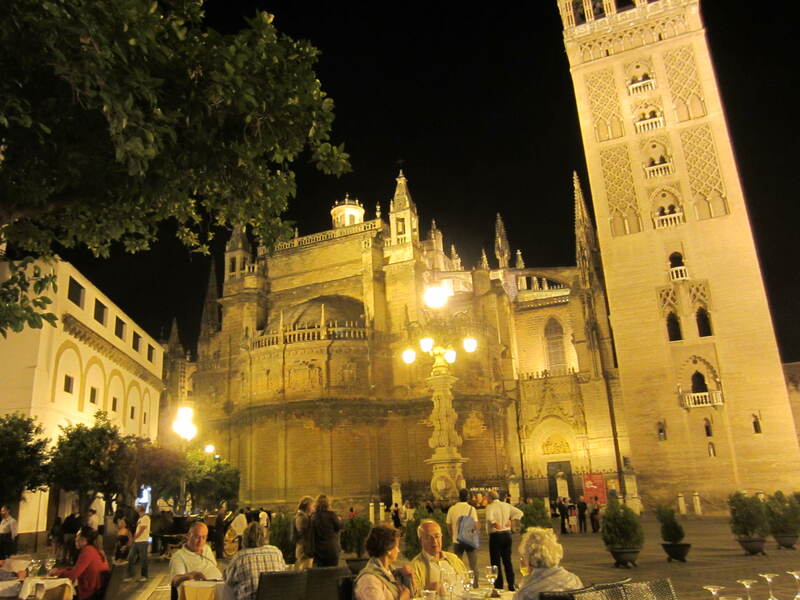 We were wandering the streets of Seville,when we came upon this scene. Quite interesting. As we watched, the crowd got bigger, the skating got better and the busking part came out. All in all, easy stuff on ice, not so easy on wheels. Author’s note: first time playing with Movie Maker, forgive me as I learn.